The Michigan Test for Teacher Certification, or MTTC, is the primary tool used by Michigan to determine which prospective teachers are skilled and knowledgeable enough to become a full-time teacher. The prospective teacher will need to take at least two tests in order to become a certified teacher in the state of Michigan: the MTTC Professional Readiness Examination, which is a basic teaching skills test; as well as the subject-area test related to their preferred field of education. The Professional Readiness Examination will consist of 129 multiple-choice questions and 2 constructed-response assignments, in which the test-taker will have four and a half hours to complete. The subject- area tests vary in question number and time limit; however, all tests will have multiple-choice questions. The Language tests will also have an added constructed-response section. The MTTC certification examinations are graded on a scaled score system with a range of 100 to 300. This means that the number of correct responses a test-taker completes is scaled based on the difficulty of the exam; however, Pearson, the creators of the exam, state that a score of 220 or higher will be considered passing. The test-taker will only receive an exact numeric score only if they do not pass the test. 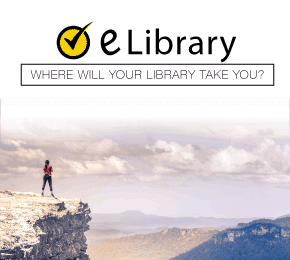 At the Mometrix Academy, you will find a vast amount of free MTTC practice test questions that can help you prepare for your certification exam. 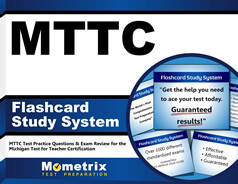 Use the free MTTC practice test questions below to get a better understanding of the MTTC exam. Take advantage of this valuable resource to pinpoint your strengths and weaknesses. Mometrix Academy is a completely free resource provided by Mometrix Test Preparation. 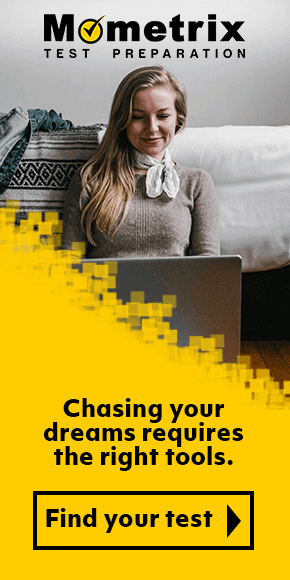 If you find benefit from our efforts here, check out our premium quality MTTC study guide to take your studying to the next level. 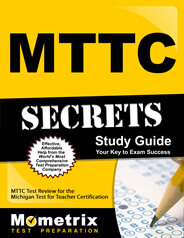 Just click the MTTC study guide link below. Your purchase also helps us make even more great, free content for test-takers.